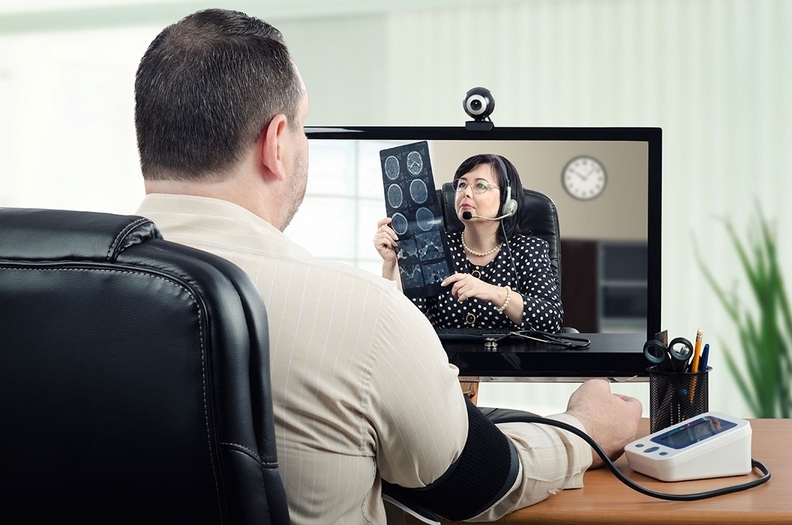 Legislators are beginning to open up new avenues for providers to use telemedicine to prescribe medications, a move that's indicative of growing acceptance of virtual care as a way to improve access. On Sunday, Connecticut became the latest state to allow providers to prescribe controlled substances through telemedicine for treating psychiatric disabilities and substance use disorder. Seven other states have recently passed similar laws allowing the prescription of controlled substances via telemedicine. "They're recognizing that it's a clinically meaningful part of taking care of patients," said Nathaniel Lacktman, a partner and healthcare lawyer with Foley & Larder, whose telemedicine industry team helped the Connecticut Psychiatric Society write part of the bill. "The landscape has changed significantly over the last two years." This bill reflects a trend of incremental change, said Marki Stewart, an attorney with Dickinson Wright. "States are slowly and narrowly carving out certain circumstances where telemedicine could be used to improve care," she said. But patients and providers alike will still face limitations, despite bills like the one Connecticut just passed. In most cases, prescribers must first have in-person visits with patients before prescribing them medications virtually, even in states whose laws don't require preliminary in-person visits because of the federal Ryan Haight Online Pharmacy Consumer Protection Act, which was passed in 2008 and requires the practice. Congress is considering relaxing some of the Ryan Haight Act's restrictions, allowing certain facilities to qualify as Drug Enforcement Administration-registered clinics so providers could prescribe controlled substances to patients in those facilities. The changes reflect legislators' growing realization of how industry practices have changed since the act passed, said Jennifer Breuer, a partner with Drinker Biddle. "When Ryan Haight was passed, telemedicine was this pie-in-the-sky idea, and there were online pharmacies letting you fill out a questionnaire and get whatever you asked for," she said. But telemedicine has matured, and the federal government has cracked down on online pharmacies. Now, telemedicine visits can sometimes be recorded in electronic health records. When it comes to prescribing, that means more opportunity for verification, Breuer said. The Connecticut law and others aren't just a reaction to the changing technological landscape; they're also a reaction to the shortage of psychiatric care in the country—a shortage made particularly acute by the opioid-addiction epidemic. "The federal government is starting to recognize that telemedicine has a lot of benefits," Stewart said. Though the CMS greatly limits what kind of virtual care can be reimbursed through Medicare, the agency is testing new use cases. Private insurers are adding conditions for which telemedicine can be used, with a particular focus on chronic diseases. "There's a real understanding and data to show that people don't have access to the care they need in real time and where they can access it," Breuer said. "Telemedicine may not be a panacea, but at least it's a step in the right direction."